Working to rid yourself of self-importance, defensiveness and other undesirable traits is going to benefit your managerial style in a number of ways, but it’s not easy. You’re going to tell yourself that your attitude is the reason you are where you are, and working to rid yourself of that will diminish your ability as a leader. Let’s be clear, there’s a big difference between confidence and arrogance, bravery and foolhardiness or an eye for detail and pedantry. Most human behaviours exist on a spectrum, and this is not to say that you need to crank that dial one way or another, instead, just that you operate with some level of objectivity in relation to your own behaviour. As an example, let’s look at ‘confidence’ – a belief in your actions that resonates and inspires confidence in your team. How many leaders consider themselves confident – but appear cocky to the people around them? The answer is ‘many’ – and that cockiness leads to complacency and misplaced self-belief. When those things kick in, failure occurs – but the cocky manager has no idea why. Your ego is a powerful force to take on, it’ll constantly tell you that your behaviour is sound – so working on destroying it is going to be difficult. Write down some of the traits you think make a good manager, then consider where you are on the spectrum that trait sits in the middle of. So, if a great manager is competitive – do you feature on the meek side of that? Or do you tip the scales toward being a sore-loser? Awareness is everything when it comes to conquering your own psychology, when you get a good handle on who you really are, you can plot that against the manger you really want to be – and start working to make the adjustments needed. You’re in your managerial position because you’re talented. That talent is rare – and it’s the thing you’re being paid to apply. If this is the case, why do so many managers struggle to take their hands off the reigns and trust others with decisions and elements of control? Obsessing over the small stuff hinders your ability to see the bigger picture – but it happens time and time again because people think they’ll lose control if they allow others to handle the finer detail. Are you the best person to look at revolutionising your marketing department? Can you singlehandedly redesign your website or look at increasing efficiency across your IT network? Probably not, so find someone who saves you the painful task of setting on out one of these missions. Whether that’s turning to others for the information to get you moving, like this guide from SAS Global Communications on how to save money across your network – or complete end-to-end outsourcing – your time can be focused on what you’re great at. It’s not always ‘doers’ that are the heroes in companies – while the legwork is important, it’s also vital that there’s someone overseeing who can move all the chess pieces. With the right people, in the right places your job becomes much easier. Industry leaders have again and again proved that surrounding yourself with the right people is the recipe for success. 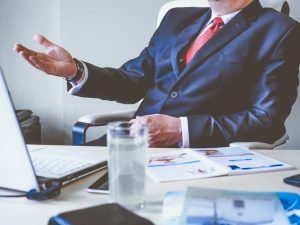 If you’ve worked hard to find yourself in a management position, you’re likely to love and hate this next skill – and probably not in particularly equal measures. Think back to life before you were a manager; remember being told you’d exceled yourself in the team? Remember being the reason that your team triumphed even though those around you dragged their heels? This ‘receiving’ part of great management is the bit that’s easy to love – but now’s the time to taste the other side of that. As a world-beating manager you’re going to have to start taking the brunt of the blame when things don’t go to plan. And when things go swimmingly, it’s time to start passing the credit to others. The key here isn’t to pretend something is your fault when you believe your team has let you down – but instead to believe it, 100% of the time. If your team dropped the ball, it’s because you’ve let them drop the ball. If they haven’t followed instructions, it’s because you haven’t explained why these instructions are so important. The responsibility lies with you, at all times. When the question about what’s gone wrong comes down from above, it’s time to put your neck on the chopping block. When you do, you’re going to be surprised at what happens. Your superiors respect you for it – they’re not interested in passing the buck, they want to know what’s gone wrong and that it’s not going to happen again. Your critical thinking skills also begin to rise – what could you do differently to make sure the team understand next time around? What’s more, when you credit your team for all successes, they see you as being humble – but know that your readiness to shoulder responsibility means you’re anything but passive. Moving from good – to great. Ultimately, you’re in your management role for a reason, so it’s unlikely your attitude needs a huge overhaul. These three points are important factors to keep in your mind and reflect upon when the time is right. No one expects you to be perfect, but if you can stay objective you’ll be able to plot your location on the effectiveness scale – and make the adjustments needed to strive for greatness. What is the real cost of business downtime?